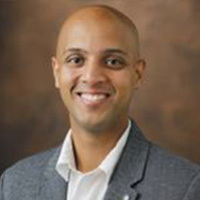 Tariq Thachil is an associate professor in the Department of Political Science at Vanderbilt University. His first book Elite Parties, Poor Voters (Cambridge University Press, 2014) examines how elite parties use social services to win unlikely support from disadvantaged voters, through a study of Hindu nationalism in India. The book and dissertation on which it is based won six prizes, including the 2015 Luebbert Award for best book in comparative politics, and 2015 Epstein Prize for best book on political parties, both awarded by the American Political Science Association (APSA). His articles have appeared in the American Political Science Review, Comparative Political Studies, Comparative Politics, Contemporary South Asia and World Politics. His current research focusses on understanding the political consequences of rapid urbanisation and internal migration in India.